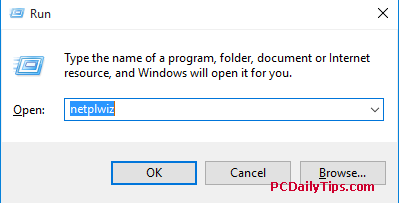 I have posted Windows 8.1 disable lock screen video several months ago, and in today tutorial, I will show you how to disable lock screen Windows 10 password prompt, basically the password screen that prompts you to enter password before you can view your desktop. If you are now still on Win 8.1, and want to upgrade to Win 10, check out my previous upgrading Win 8.1 to Win 10 tutorial on this post. 1. 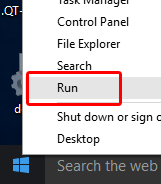 Right click your Windows start icon in left bottom your right, and choose, “Run“. Alternatively, you can use keyboard shortcuts, Windows key on your keyboard and “R” keys (Win+R). 2. In Run dialog box, type, netplwiz, click “OK” button. 3. “User Accounts” dialog box pops up, select your username, in this case, I choose mine, “Kimi”. 4. While your username is selected, check off the options that says, “Users must enter a username and password to use this computer”. Click Apply button, you will be asked to enter your computer password twice, click OK after typing your passwords, and then click “OK” button. The steps above, are only to disable lock screen Windows 10 password before computer set to “sleep” mode. However, after wake up from sleeping mode, you will still be prompted to enter your password. The steps below will disable lock screen after sleeping. 1. 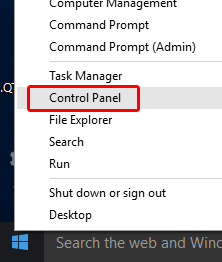 Go to your Control Panel, right click your start menu icon, and select, “Control Panel“. 2. In Control Panel, switch the “view by” option from “Category” to “Large Icons“. 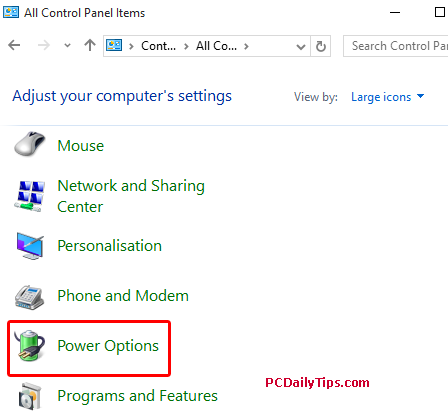 You will see, “Power Options” icon, click on that icon. 3. Then, on the left side, you will see link that says, “Require a password on wake-up“. Click on this link. 4. Here, click the link that says, “Change settings that are currently unavailable“. 5. 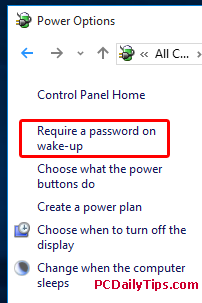 Under, “Password protection on wake-up”, check on the, “Don’t require a password” check box. Close dialog box, and test it, make your PC sleeps, and after wake up, see if it works. 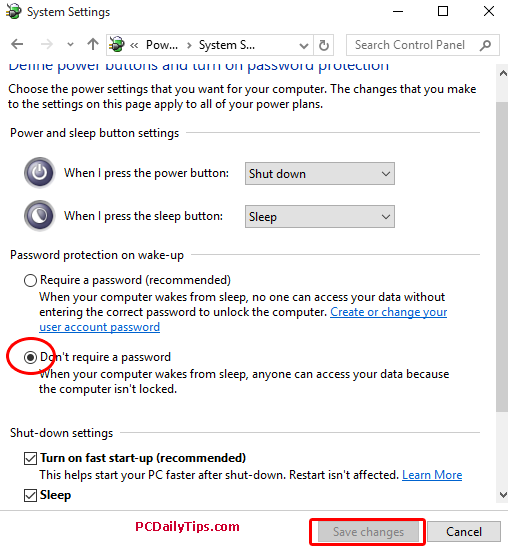 Beware, that now, after your computer wakes up from sleep, anyone can access your personal computer, because you just did disable lock screen Windows 10 password after sleeping mode too. If these simple methods are not the one that you are looking for, you might check this complete tutorial about registry to help disabling Windows 10 lockscreen. 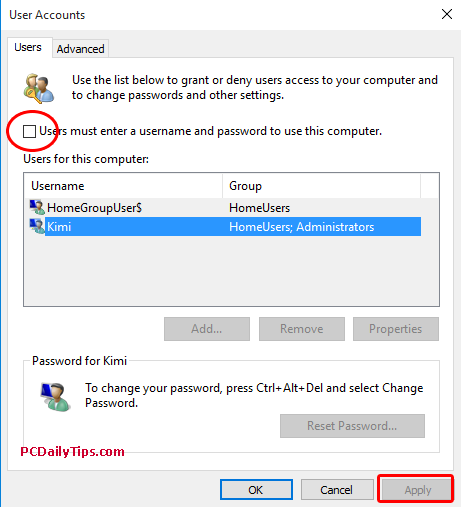 As I am not a fan of changing registry, to disable lock screen Windows 10 password prompt, I would prefer these two methods above, share your opinions! ← Previous: MSI GE72 APACHE-235 17.3-Inch Gaming Laptop Powerful?